The Physics department at SBASSE aims to conduct a series of workshops for promoting experimental physics in all over Pakistan. 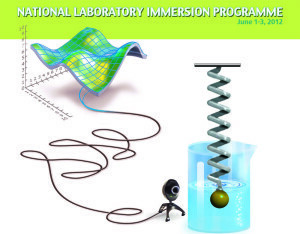 The purpose is to engage post-graduate students, researches, and teachers involved in the field of physics education and experimental sciences, and to provide them with knowledge-based, hands-on, modern and invigorating exposure to the various aspects of laboratory program development, teaching, implementation and assessment. The workshop usually comprises of lectures, laboratory work, demonstrations and guest lectures.